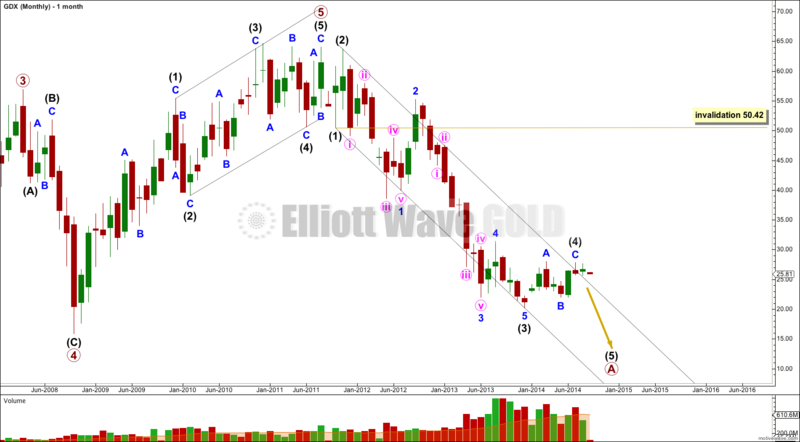 While the alternate Elliott wave count was not technically confirmed for GDX, it has been for Gold. 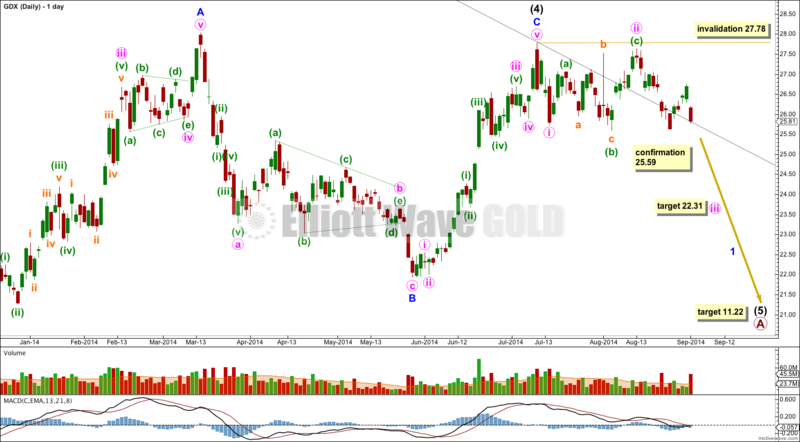 I will follow Gold for indication of which wave count is most likely correct for GDX. 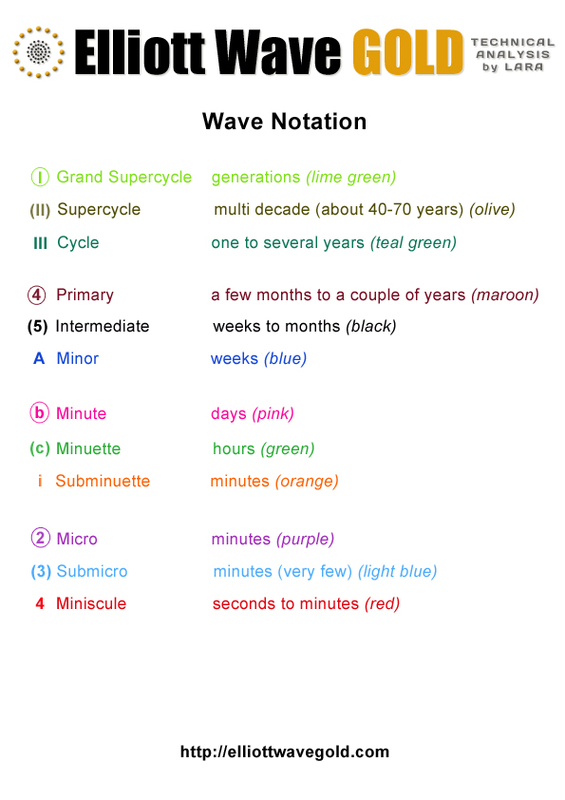 Intermediate wave (4) is most likely over with a very slightly truncated C wave (by 0.25). I would have more confidence in this wave count with movement below 25.59. 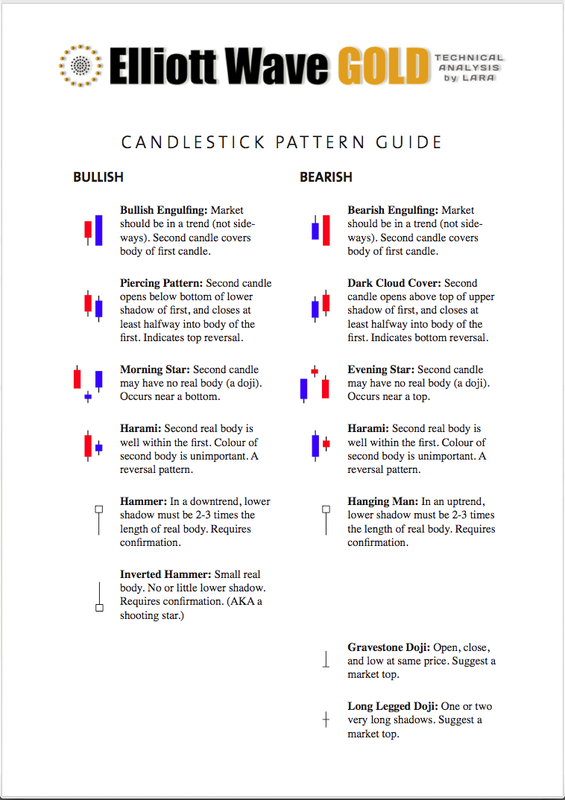 A new swing low below that point would indicate at least a mid term trend change to the downside.